We all have parts of ourselves that we don’t like. Sometimes we can own them, sometimes we can’t. When we can’t, they tend to get projected onto people around us, often people closest to us. Have you flown off the handle at someone close to you recently? Has someone close to you blown up at you? Have relationship dyanamics been a source of stress in a more charged way than usual? Not only are we FINALLY done with the 6 week Venus Retrograde as of today, we also have a special event of the North Node and Black Moon Lilith in an exact conjuction in Libra this week. Oh, and Venus and Mars are conjunct. So what does it all mean??? We’ve felt the reassessment energy of the Venus Retrograde for weeks, which, as I mentioned last week, effected our relationships by forcing us to examine what we really value. As Venus slowed down in her retrograde and prepared to move forward today, preparing to externalize her new found sense of value, she has also been sitting next to Mars for a few days. This is the masculine and feminine coming together within our psyche. While Venus is the psycho-spiritual function of what we value and how we socially interact and receive in relationship, how we harmonize with and relate to others, Mars is our desire and self-assertion; how we identify what we want and go after it. In Leo, this can mean creation, fornication, relationships forming, but it can also mean dynamic tension and fighting. Ego battles are a common Leo shadow. Venus and Mars occupying the same 5-10 degrees of the zodiac at the same time can be incredibly exciting, and also bring up an energetic clash reflective of thousands of years of gender wars in humanity, deep in the collective unconscious. Taoist principles such as the yin and the yang apply here. Ideally, we embrace that symbol and meditate on its endless significance with this Venus/Mars conjunction. When to be active and when to be passive? Assert or receive? Which dominates in your life right now? In this moment? Within a certain relationship? Within your community? The conjunction suggests it’s time to explore the anima or animus latent in the psyche, and to invite whichever has been on the back burner to come and, well, merge with the other. It’s time for unity between the masculine and feminine in our own psyches. I’ve centered my life in very grounded and conscious radical queer, pangender community over the last several years that honors neo-pagan and traditional Native American spirituality. Across many tribes, Native Americans held a reverence for 2-spirit people (modern day LGBTQ people) in their villages and communities, the idea being that they held a knowledge of both genders, or possessed both a masculine and feminine spirit, and were often the spiritual leaders, healers, shamans and musicians of the community. As this conjunction of Venus and Mars continues to prevail in the sky, it’s a great time to consider that many gay, lesbian, bisexual, and transgendered people walk between the genders, or stand in the unification and harmonization of the genders on a daily basis. Queer or 2-spirit wisdom is powerful to access at this time. 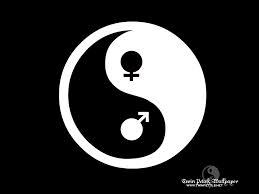 The masculine and the feminine don’t necessarily understand each other, but need each other. The harmony of the masculine and the feminine within ourselves is a key to unlocking greater creative potential, ESPECIALLY in creative, romantic, expressive Leo. As the masculine and feminine come together, we also have Black moon Lilith exactly conjuncting the North Node of the moon in harmony-seeking Libra this week. A less explored archetype in mainstream astrology, Lilith is the wild, unencumbered feminine. The precursor to Eve in the Garden of Eden, Lilith first appeared mythologically as a handmaiden to the goddess Inanna, and was known to be a sacred sexual priestess, teaching men to pray with their sexuality, and standing for the unification of spirit (or conscious, awake, assertive, visible, masculine energy) and matter (unconscious, unseen, physical, intuitive feminine…to riff on the Tao for a minute). After leaving the garden of Eden, refusing to be a subservient wife, she was demonized by Christian patriarchy, and she has been in the shadows of most cultural psyches in western society, and in many cultures around the world, as a result. This shows up in our personal psyche as the point where we’ve rejected our wildness, sexuality, and our feminine power to be accepted by mainstream society. Whether male or female (or in between), we experience Lilith as a wild, irrational, kundalini force in our bodies that, when fragmented from who we understand ourselves to be, can explode out of nowhere when a Lilith transit shows up…like RIGHT NOW with transiting Lilith on the transiting North Node. Buckle up, ya’ll. As a physical point, Black Moon Lilith is a dark spot next to the earth, a fulcrum point that keeps the moon in elliptical orbit around the earth. She is a sister to Gaia, or Mother Earth, that asks us to listen to our bodies and our instinctive, intuitive animal nature to hear how the Earth is communicating with us. The myth says that the angels from the Garden of Eden threatened to kill 100 of Lilith’s babies every day if she didn’t come back to be Adam’s wife. The threat of death and destruction has kept untamable Lilith at bay and suppressed, even enslaved. As we continue to watch the destruction of mother earth by this patriarchal, capitalistic reality of stopping at nothing to generate more profit, and weilding masculine power in a negative way, it’s time to consider how we can awaken our wildness to defend our home. It starts in our own psyches and then our own back yards, and in Libra, our relationships. The North Node is the path of evolutionary development. Lilith here is a clear signal that it’s time to embrace our wildness, and to encourage that in each other. It’s also a time of the shadow side of Libra which is PROJECTION. It can be easy to put everything you’ve been repressing on another person right now rather than do your own psychic work on yourself. It can be easy to step out of your power and your wildness and make someone else into the bad guy, seemingly asserting power over you. Any and all relationship issues can be amplified with Lilith here. It’s an effort to go into our own personal shadows and own what’s there, to watch ourselves get triggered or angry or upset and go deeper to find out why we feel the way we do. The advantage here, though, is that there is a great amount of empowerment we can give each other right now to rewild our minds, hearts, and bodies. When we are able to look at ourselves and become more conscious of our sexuality, our animal nature, and our irrational feelings rather than project them, an incredible amout of growth and evolution of human consciousness and culture is possible. Libra is all about how we relate socially to others…it’s one of the signs ruled by Venus, stationing direct today! Lilith brings crisis often times, because of how painful her rejection from the mainstream was. In Libra, this can put relationships on the rocks in a more intense way than Venus retrograde. We have an opportunity to follow this North Node path of evolution by looking within to harness our power, and use it to love ourselves and each other with more compassion for the beast within. Libra is marriage, contracts, social graces, beautifying things. Think harmoniousness, fairness, justice, and social consciousness. Let’s choose that, rather than the South Node Aries approach of fighting and narcissism. We really are mirrors of each other. Patience, mediation in conflict, self love, love for others as they reflect repressed parts of ourselves back to us, and plenty of time to feel into the wild and irrational is the recipie for success for the next few weeks. This week is the exact conjunction of Lilith to the North Node, so we’ve been feeling it already, but now that they are in the same sign at 1 degree of Libra, it’s game on. Ready…Set… Evolve your relationships. Not power over or power under, but power WITH. That’s the new paradigm.